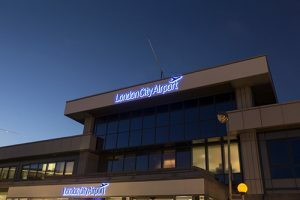 The official car parks of London City Airport are now available to book with ParkCloud, who is very pleased to further it’s substantial network of airport car parks. London City Airport is an international airport located east of the City of London. Just a short distance from Canary Wharf, London’s financial industry is a major user of the airport. London City’s Short Stay and Long Stay car parks have been activated on ParkCloud’s network. The Short Stay is perfect for travellers who need convenience and speed, so is popular for those on a business trip. Quick and easy to access, it’s also just a 2 minute walk from the terminal building. The Long Stay car park is better suited to travellers who are embarking on longer trips and holidays. Offering fantastic value for money, customers can travel knowing their car is safe, with the added bonus that it is just a short 5 minute walk from the terminal. London City Airport served over 4.3 million passengers in 2015, an 18% increase compared with 2014. This increase was the largest percentage growth amongst all London airports, and a record total for London City, and this fantastic growth continues year on year. The airport also has approved planning permission to expand in the next few years, and hope to reach 6.5million passengers by 2025. Whilst marketing the parking spaces across its channels, ParkCloud hopes to further contribute to the growth of London City Airport.